If you'd like to contact us about a machine rental please visit our contact page to send us an email. Phone is not a good way to contact us at this time. Thank You. 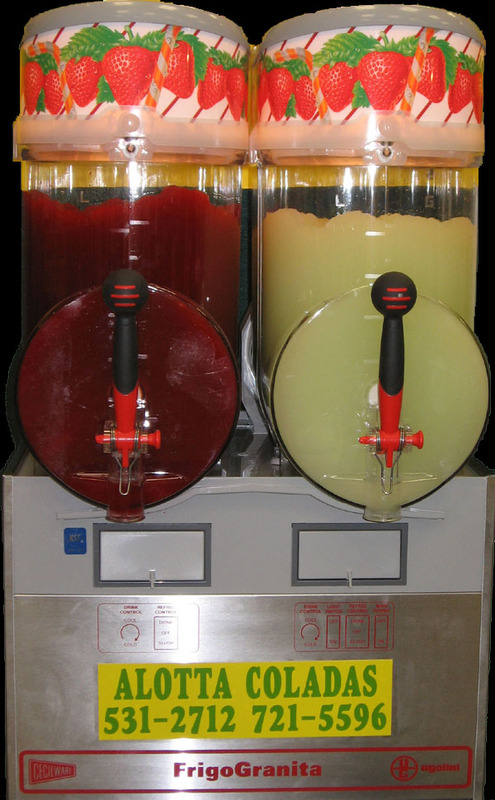 Celebrate your special event with a frozen drink machine from Alotta Coladas! We deliver and set up the machine so all you have to do is pull the handle and enjoy! No ice required! You supply the people, we'll bring the party!! 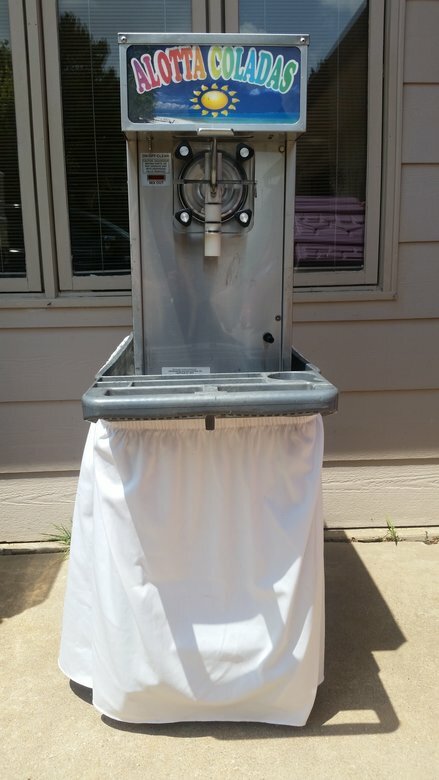 Alotta Coladas provides a fun, easy way to supply your special event with frozen drinks! Prepare the mix, with or without alcohol, and pour it into the machine. In less than 1.5 hours, your drinks will be ready to serve with no downtime between mixes! We return to pick up and clean the machine after the event has ended, or the next day, so all you have to do is party! Our mixes are great with or without alcohol! 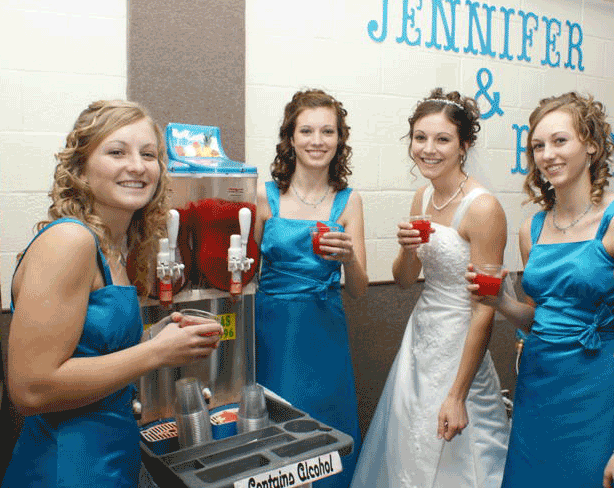 Frozen Drink Machines are great for Wedding Receptions!! 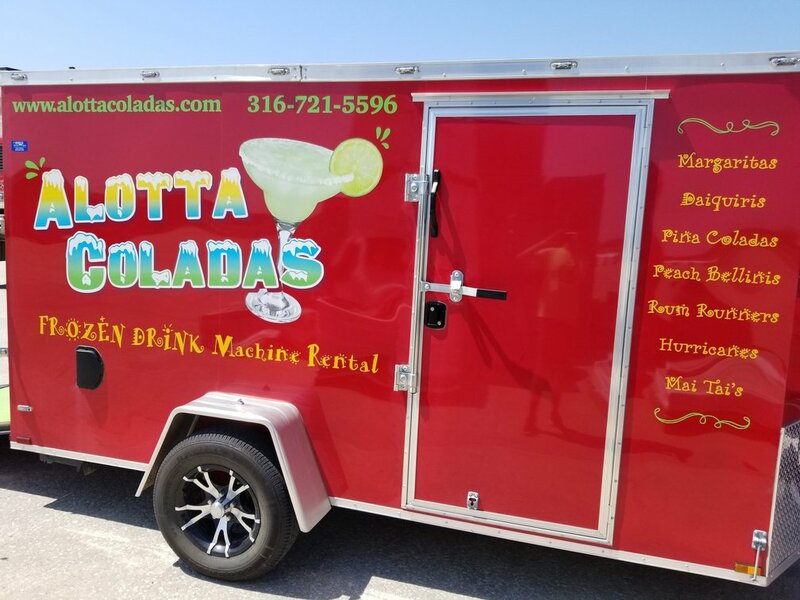 Make your next party a blast with margaritas from Alotta Coladas! Alotta Coladas reserves all rights.